… and on the 7th day, He rested. Right back there in Genesis, after the creation of the world, even God rested. Now I am not going to get into a theological discussion about whether or not this really happened nor if it did how long it actually took. I’m merely reacting to the fact that even the Creator of the Universe paused from working. That being said, if it’s good enough for Him, then it’s certainly good enough for me. Well, one might say, “Diana, you’ve been resting from working for over two years now. Don’t you think that’s about enough?” I’m not really talking about the absence of working but rather engaging in something different in a restorative act, something that brings wholeness to you and enables you to get back into the foray again. Restoration is something needed for all of us, and maybe more so for the job seeker because there is little affirmation or success happening … For me, I have felt it especially necessary in 2010 as added to the frustrations of the job search, the heart heaviness of worrying about those close to me who are also unemployed, and recent health issues, my mind and spirit were definitely in need of a clearing. (See Coming through the darkness and And the winner is … The Virus.) Fortunately, there has been progress on all fronts with residuals of the virus finally being gone. Webster’s tells us that restoring is bringing back to a former position or condition; a renewing! 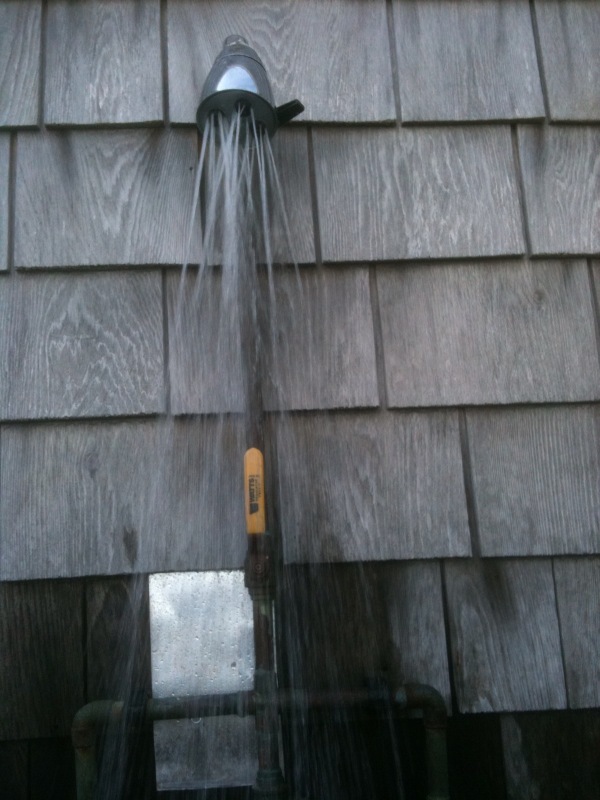 It’s funny the myriad of things that can cause restoration to take place, many being very simple acts, indeed. That simplicity is truly a gift. For me, summer itself is one of the biggest. I enjoy being able to be barefoot (I’m guilty of it inside all year round) and jacketless, especially in the evening. Since celebrating our 25th anniversary in Florida in 1992, Bob and I have enjoyed a number of February breaks there. Lying on my back on a winter evening, feeling the warm, moist breeze across my face always makes, especially when it’s snowing at home. Curling up with a good book, sharing Saturday breakfast or Sunday dinner with my little family, having a tears-running-down-your-face laugh with a bunch of friends, being wrapped up in Bob’s arms after a particularly tough day – all of these work their magic to restore my spirit. 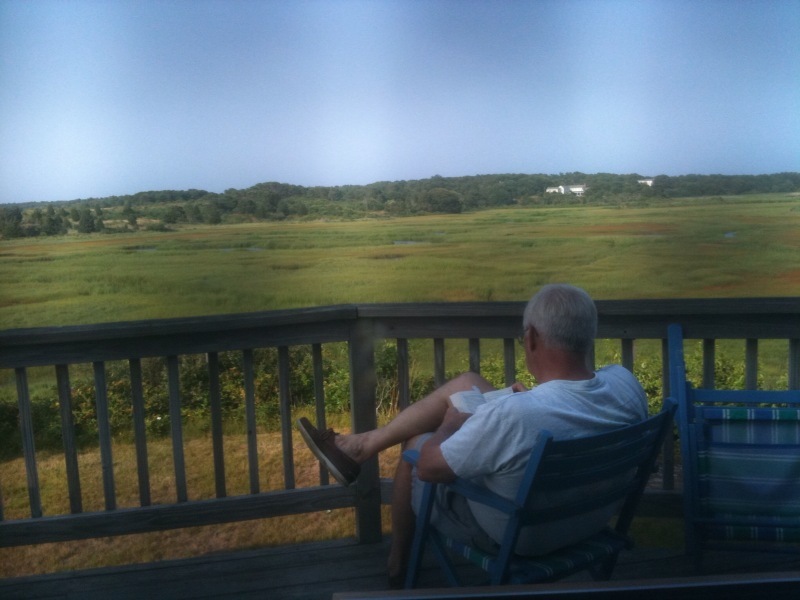 Four years ago I added another restorative experience to my list –what has become the annual family vacation week at Bob’s cousin’s house on the Cape. 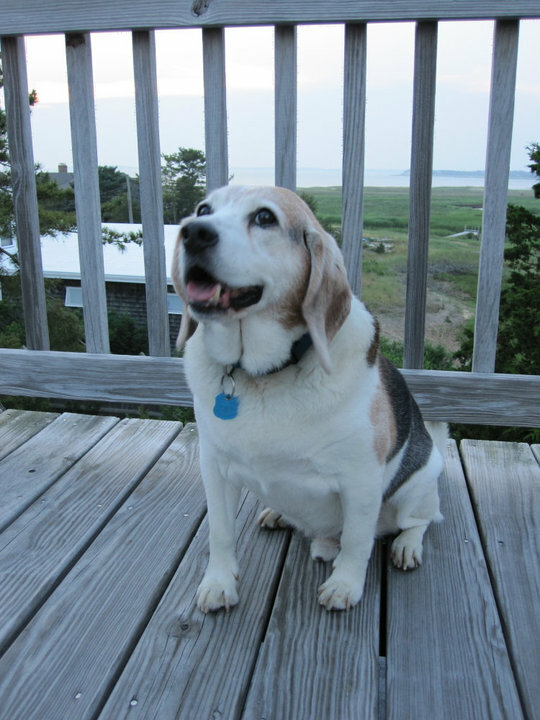 We have spent many Thanksgivings there with the Schuman cousins over the years and finally took Joan and Strat up on their offer to spend a week at the house overlooking the marsh and Cape Cod Bay. This year, it was even more eagerly anticipated. So last week, Bob, Kim, Kirt, Britt, grandbeagle Reggie and I made our voyage to this magical place with its many restorative powers: Being away from home with the people most important in my life, sleeping with the windows open to the sea breeze, savoring the uninterrupted marsh view, reading lots of books, watching the sunset over Cape Cod Bay from the upper deck and later lying on our backs searching for shooting stars while we try to discern the constellations, and perhaps the most refreshing of all, using the outdoor shower! Your body cannot heal without play. Your mind cannot heal without laughter. Your soul cannot heal without joy. Our days from July 13 to 21 went too quickly – but my body, mind and soul have been restored. I’m ready to take on my world!